2019 © Dofi Jet Boats S.L. are you interested in coming with us? Our regular Dofi Jet Boats line allows you to discover the Maresme and Costa Brava coasts in a different way, discovering the magnificent beaches and coves that can be found along the route. Our modern boats stop in the main towns and beaches along the route so that you can explore towns such as Calella, Blanes, Lloret de Mar or Tossa. 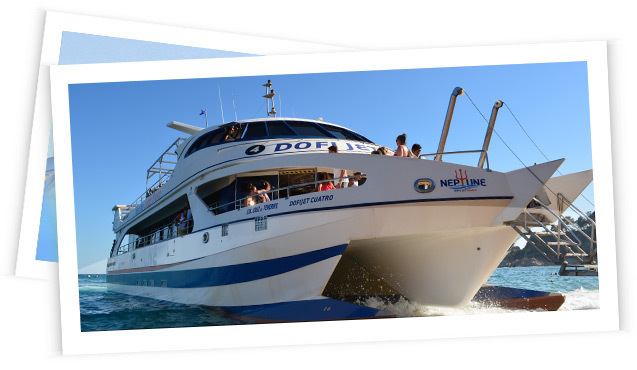 Discover the coast in a different way, come and sail with Dofi Jet Boats. Nautical company with over 50 years of experience organizing excursions along the Costa Brava coastline.